This destruction causes a failure in the system that produces key thyroid hormones T4 and T3, and often leads to hypothyroidism—an underactive thyroid. Hashimoto’s disease is the leading cause of hypothyroidism in the United States, affecting more than 30 million Americans. Autoimmune conditions such as Hashimoto’s arise when the body’s normal immune processes are impaired. The body begins to recognize normal proteins, such as food antigens, as “foreign invaders” and starts mounting an attack on tissues such as the thyroid gland. Other risk factors which can contribute to Hashimoto’s development include genetics, chronic stress, food allergies, and having another autoimmune disease, such as rheumatoid arthritis or multiple sclerosis (MS). What are the Treatment Options for Hashimoto’s Disease? Conventional treatment for Hashimoto’s thyroiditis consists primarily of thyroid replacement therapy using synthetic T4 medication. The problem with this form of hormone replacement is that T4 needs to be converted into its more bioactive form, T3, in order to activate thyroid hormone receptors throughout the body. Unfortunately, many people are unable to convert enough T4 into T3 to counteract their autoimmune disease state, allowing hypothyroidism and its accompanying symptoms to flourish. Conversely, natural thyroid hormone medication, which uses natural desiccated thyroid (NDT), replaces both T4 and T3 hormones to bring the body back into balance. 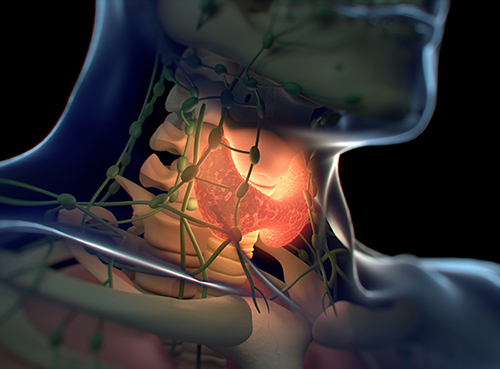 Where Do I Get Natural Thyroid Medication? WP Thyroid® and Nature-Throid® are thyroid replacement medications, containing standardized (T4) and (T3) hormones, used to treat hypothyroidism naturally. Both medications are available by prescription. Talk to your doctor to see if Nature-Throid® or WP Thyroid® would be right for you. To find a doctor in your area who is familiar with treating Hashimoto’s disease with natural thyroid medication, click here. 1. Shomon, Mary. “What is Hashimoto's Thyroiditis: Questions and Answers.” Verywell, 23 Aug. 2016, www.verywell.com. 2. Brent GA. Environmental exposures and autoimmune thyroid disease. Thyroid (2010) 20:755–61.10.1089/thy.2010.1636. 3. Fasano, Alessio. “Leaky Gut and Autoimmune Diseases.” Clinical Reviews in Allergy & Immunology, U.S. National Library of Medicine, Feb. 2012; 42(1):71–8. doi:10.1007/s12016-011-8291-x. 4. “Hashimoto's Disease.” National Institute of Diabetes and Digestive and Kidney Diseases, U.S. Department of Health and Human Services, 1 Sept. 2017, www.niddk.nih.gov. 5. Nygaard B, Jensen EW, Kvetny J, Jarlov A, Faber J. Effect of combination therapy with thyroxine (T4) and 3,5,3′-triiodothyronine versus T4 monotherapy in patients with hypothyroidism, a double-blind, randomised cross-over study. Eur J Endocrinol. 2009;161:895-902. doi:10.1530/EJE-09-0542.